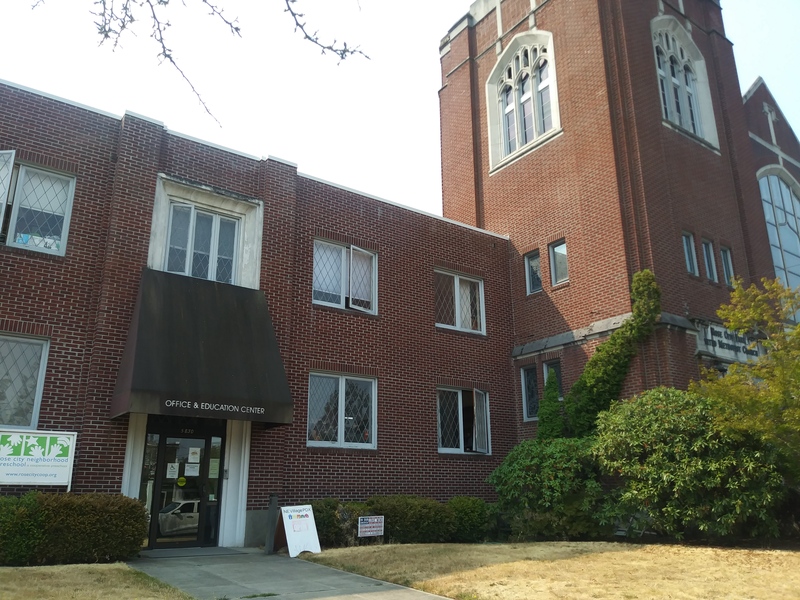 POCA Tech's classroom is located inside the office and educational building of Rose City Park United Methodist Church in Northeast Portland. The address of the school building is 5830 NE Alameda St, Portland, OR 97213. The nearest major intersection is NE Sandy Blvd. and NE 57th Ave. There is a parking lot, on-street parking, and bike racks. TriMet - for bus and MAX schedules and timetables. Our classroom is served by Tri-Met bus lines #12 and #71. POCA Tech's main student clinic is located inside Working Class Acupuncture Rockwood.